I hope you had a great winter break! I can't believe it's already over, but I hope it was a great time for you to spend with your family and relax your brain. Now it's time to rev up again, and below is a video with three quick and easy things you can do to get your brain back into college-mode. Today also marks my return to work and blogging, and I am so excited for some of the articles I have in store for you this year. 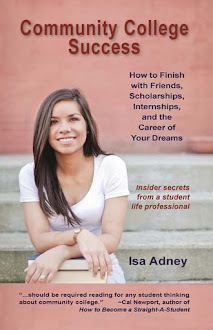 If you also have any topics you'd like to see, feel free to shoot me an e-mail at isa@communitycollegesuccess.com.